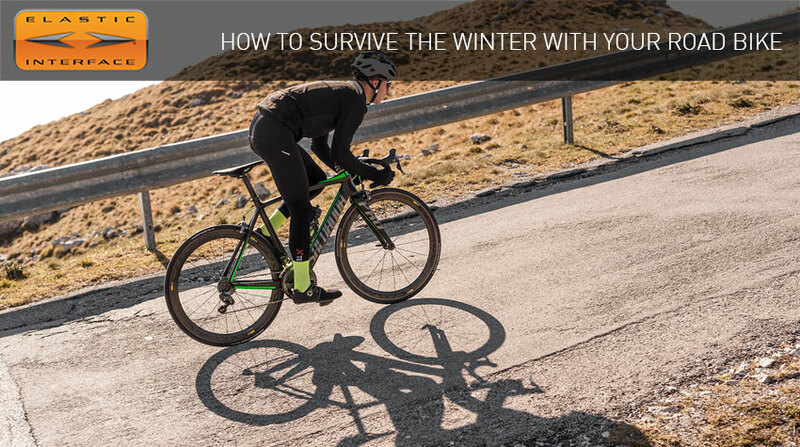 Winter is beyond a shadow of a doubt the most difficult season for those who love on-road cycling: low temperatures, frequent weather systems and reduced daylight hours provide for a habitat that is far from favourable to cyclists. Find out with Elastic Interface® the tips that will help you overcome even the toughest of winters. Proper clothing is one of the key aspects to take care of in order to be comfortable while riding in winter. During this season, putting on just a few, very technical layers of clothing is essential: they will allow you to maintain the body temperature without hindering or making you clumsy while pedalling. The upper body should be protected using a suitable thermal base layer worn directly on the bare skin; above it, a long-sleeve winter jersey plus a top layer able to stop the cold air. Depending on how low the temperature is, you can choose amongst a winter jacket, a windstopper jacket or a vest. Thermal bibtights will keep your legs warm; but again, it is important this gear to be of a high quality in order to assure you have the ability to move and all the comfort you need. It is also very important to keep hands and feet warm, as they might easily suffer poor blood circulation: in the shops you will be able to find socks, shoes and gloves specific for this season. Neck warmer, shoe covers, hat or thermal skullcap to wear under the helmet are other accessories useful to maintain a constant body temperature and contribute to your comfort. If you are planning to compete or take part in events that will make for a remarkable feat, this is the best time to get in touch with a coach and make him/her tailor your training plan accordingly: with a goal in mind you will find extra motivation for your winter rides. You can take a short break from cycling; even the pros after an intense racing season take some down-time a few weeks long to practice other sports such as running or cross-country skiing: you will be back in the saddle rested and with renewed energies. After the break, get back into training by building your stamina with short, low-intensity rides. 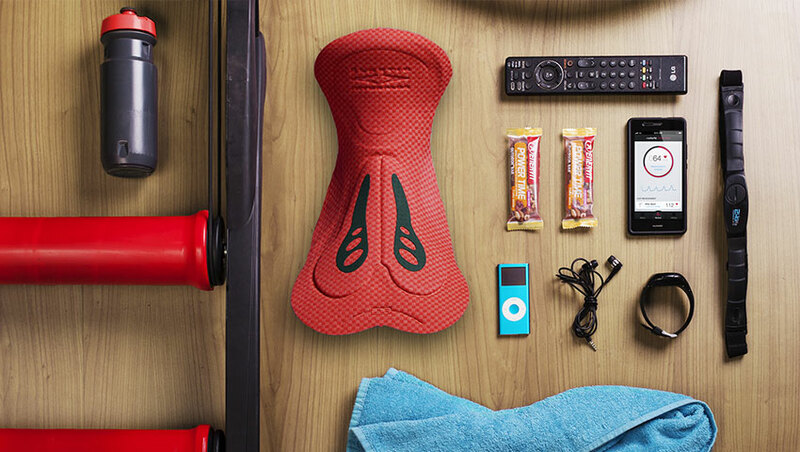 This will provide for a good starting point for next season, without making you too tired. By investing a little money you can prepare your bike for winter rides, making it safer and more comfortable both for yourself and the others. A good winter bike is fitted with more generous tyres designed for the season, with a tread that drains the water and ensures grip and safe handling even when around a corner lies a wet patch. Mud guards are an excellent tool to keep you and your buddies dry and warm; there are different types and in the shops you will be able to find models well suited even to the more aggressive look of the road bikes. Eating and keeping hydrated is a must in all seasons but during the winter you will lose much more energy: with many layers of winter clothing on, you will end up being less nimble, lightweight and aerodynamic, and in addition your body will consume a lot of energy not to lose body heat. Drinking something warm and keeping nourished will help you not become depleted of energy, enjoying winter riding to the fullest. Some warm tea in an insulated water bottle is a good way to always carry a hot drink with you. An effective solution in the event of extremely low temperatures and inclement weather is given by the use of rollers. While for some cyclist turbo training is the most boring thing in the world, for others they are an irreplaceable training tool. In recent years, with smart trainers and software such as Zwift become more and more common, things have radically changed in the indoor training experience. The most recent smart trainers combined with the use of Zwift enable you to immerse in a virtual environment where you can find other athletes and communicate with them while training or competing. There are also group rides and events where you will be able to measure yourself against other cyclists, including pro riders. By adjusting riding style and easing it up you will be less at risk of finding yourself rubber side up: during the winter, due to low temperatures and presence of water, you will not find the same level of grip and reliance upon asphalt you can count on during the summer. Moreover, braking times and distances are greater, and it can also happen to find dirt and holes on the asphalt due to bad weather and frosts. Ride sensibly and remember: safety first! Cyclocross or cross-country MTB are two disciplines that can replace on-road cycling during the winter. Short but intense blasts combined with slower speeds will be helpful in avoiding suffering too much for low temperature and windchill. Even if you won’t be in the saddle of your road bike, you will keep pedalling and, come spring, you will be ready to re-embrace it. All you need is…another bike and MTB shoes. An effective way to alleviate some of the boredom associated with a cold winter is to travel to warmer destinations. There are many spots that are normally taken over by tourists during the summer and that during this period of low season are relatively inexpensive and allow you to wear shorts in December. Majorca, Ibiza and Canary Islands are just some of the destinations that are already popular amongst cyclists for the winter. What is your personal tip to survive the winter?